I had to hang on to my hat…in less than an hour I had nine pages of notes and my handwriting was flying across the page. I had to ask her to slow down! Now that I know her story, that doesn’t surprise me one bit. She is dynamite-fire with a passion for Polarity that has changed many lives… and Institutions. Once she grasped the insights of Dr. Stone’s teachings, she was unstoppable. If you are curious about how to spread the word about Polarity, or how to heal others on a larger scale, or how to teach polarity, listen up. Mary Jo has wisdom and direction to share. And she is passionate! I’m dedicated to Polarity Therapy because it works! I learned more from Dr. Stone’s manuals than I learned in my whole physiology PhD! Polarity Therapy is a total process…If we understood Polarity Therapy, as the essence of energy medicine, then Polarity should be the first in line in health care. It is the most holistic integrated technique. In fact, Polarity should be the first in line of all the alternative therapies! We do not know what we have in our hands. Polarity not only releases syndromes, it releases trauma…we don’t talk about that. But then…you have a client that keeps coming back! Mary Jo’s passion led her to begin a school. It has had several names; as it has grown over the years. The astounding thing is that she has helped train literally thousands of people in Polarity Therapy. We had a school that changed names from Columbus Polarity to Ohio Institute of Energetic Studies, to Institute of Holistic Careers, and Great Lake School of Integrative Medicine, to name a few. We even included 50 hours of professional business management to help disseminate ideas about how to practice and prosper. The faculty trained and certified students as Energy Practitioners, Board Certified Holistic Health Professionals and Board-Certified Polarity Practitioners. The graduated students who became full-time Polarity Practitioners generated a good living ranging from from 45 to over 90 thousand dollars as annual income. That’s impressive! 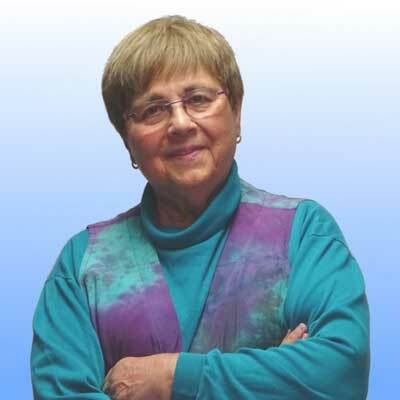 Mary Jo believes that being a Polarity Therapist is a viable profession. We need to take it seriously. Through marketing, volunteering, networking, and sharing, a practice can be built. It requires dedication. Then it works. We can act as Holistic Health Coaches. The teachers she employed, such as Damon Fazio, Iva Llyod, Nadine Feighan, Leslie Korn, and Shelia Wilson, to name a few, were/are top people. They became accredited through the State of Ohio Board of Career Colleges and Schools, and they offered CEU’s to nurses and others seeking wellness knowledge. The school grew from 8-10 students to 25-28, while having a faculty of over 20 teachers. They eventually graduated nearly 4,000 people altogether. That’s impressive! Mary Jo loves to honor her colleagues and faculty for their dedication and creativity. Time and again she referred to their contributions. She knows how to network, bring people together, and inspire them to work toward goals with high standards. She also honors her many teachers beginning with her guru. Before Doctor Stone, Yogi Bhajan was my guru, and I studied kundalini yoga. Dr. Stone’s guru was my yogi’s guru! At this time during my studies, I was also with Dr. Deepak Chopra. She still has a mentor that she grants credit for her continued successes: Dr. Leslie Korn, now a psychologist who uses Polarity Therapy in her practice. All these remarkable experiences paved the way for continued success. Yet if we rewind a bit, her previous work paralleled Polarity. 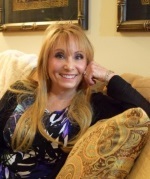 Mary Jo earned a doctorate degree from the University of Cincinnati after completing her undergraduate work at Kent State University. She had a 30-year background in all facets of education with a focus on health science, physiology of exercise, sports training, and physical education. She was an assistant professor of 25 years from The Ohio State University where she coached national and Olympic athletes in synchronized swimming. What impressed me here, was that along with her knowledge of physiology for athletes, she instinctively began to use energy work when her Olympic swimmers got injured! Thus, began her expansion of Polarity techniques. Now she is a great advocate for the details of Dr. Stone’s work. It’s important to look at Doctor Stone’s work the way he meant it…there is a strategic body of knowledge that needs to be transmitted. It’s been given to us. As Mary Jo Ruggieri continued to teach in medical schools, for corporations, and internationally in Austria, Germany and Greece: she trained with point-specific work such as using the Air or Fire finger on a specific point; as Dr. Stone would have it. Dr. Ruggieri is dedicated to the specificity of Dr. Stone’s teachings. She believes that his work needs to be organized better and taught in the exactness he defined in order to reap the true benefits of Polarity. Dr. Stone’s work was very diversified. It included techniques that were satvic, tamasic, and rajasic; all three are important to use and integrate into the session. Her passion for Polarity expanded to Corporate Wellness. She interconnected these teachings with factories and large corporations. We had Polarity Practitioners working in factories because of a Corporate Wellness program with Parker Haniffin, a fortune 200 company all over the U.S. This corporation, with headquarters in Cleveland Ohio, allowed their factory workers to receive Polarity Therapy. The Polarity Practitioners received 75 dollars for 55-minute sessions, as much as 10 sessions a week. So, we had 150 polarity practitioners, from all over the United States, working and earning a living. Parker Haniffin had 250 factories with many people in need of Wellness. Dr. Ruggieri has returned to her Ohio Institute of Energetic Studies school, with a focus on advanced Polarity Therapy training. She is dedicated to helping Polarity Practitioners start their own schools. She also offers RPE teacher training, to help create more teachers for those schools. Many of her courses will include online training so people can access information more easily. APTA needs to have more schools. We need to support practitioners with materials they can use, such as curriculum with information on how to start schools. So, I asked “How do you feel about the BCPP exam? I fought hard for it! It is the smartest thing APTA ever did. We are ahead of the other modalities…we are 20 million years ahead! It’s National BCPP Accreditation. APTA is smart not to do licensure under medical supervision, that can limit things. APTA is moving toward national board certification. ICE/NCCA: The National Commission for Certifying Agencies, Institute for Credentialing Excellence, is a national accredited certification organization. Certification doesn’t take away our freedom, it gives us boundaries and structure…it encourages the progressive education of Doctor Stone’s true work, point specific work. 1. Polarity Therapy is a system of Holistic Health Care. 2. Polarity Therapy is about balance. 3. Polarity Therapy uses different types of Energetic Touch to turn the circuit breakers back on! For us that means point specific techniques, how to integrate them, and how to follow-up…then tracing the energy. I enjoyed my journey with Dr. Mary Jo Ruggieri…and no, I didn’t hang-on to my hat. Instead, if you will allow, I take it off to her…to honor her ever-present passion and dedication. Thank you, Mary Jo, for paving the way, and for sharing your enthusiasm and expertise.